The Federal Open Market Committee (FOMC), established in 1933, reviews economic and financial conditions, determines the appropriate stance of monetary policy, and assesses the risks to its long-run goals of price stability and sustainable economic growth. The FOMC consists of twelve members—the seven members of the Board of Governors of the Federal Reserve System; the president of the Federal Reserve Bank of New York; and four of the remaining eleven District Reserve Bank presidents, who serve one-year terms on a rotating basis. This FRASER collection includes materials by and about the FOMC and its policymaking, including meeting minutes, congressional testimony, and reports. 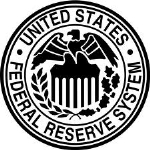 The FOMC was preceded by the Open Market Policy Conference (1930-1933) and Open Market Investment Committee (1923-1930).